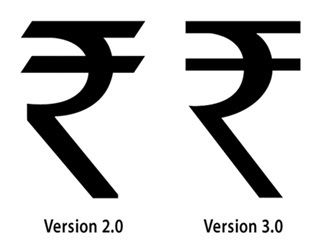 You can use the following links to download Rupee foradian version 3.0 from the following links. Double click on the Rupee_Font_Installer.exe fileIt will automatically install the font in your computer system. HOW TO USE THE FONT ? Open your wordprocessing applications like MS Office or Open Office.Select "Rupee Foradian" from the drop down box of Fonts.Press the key just above the Tab button(left to 1) on your key board to get the rupee symbol.